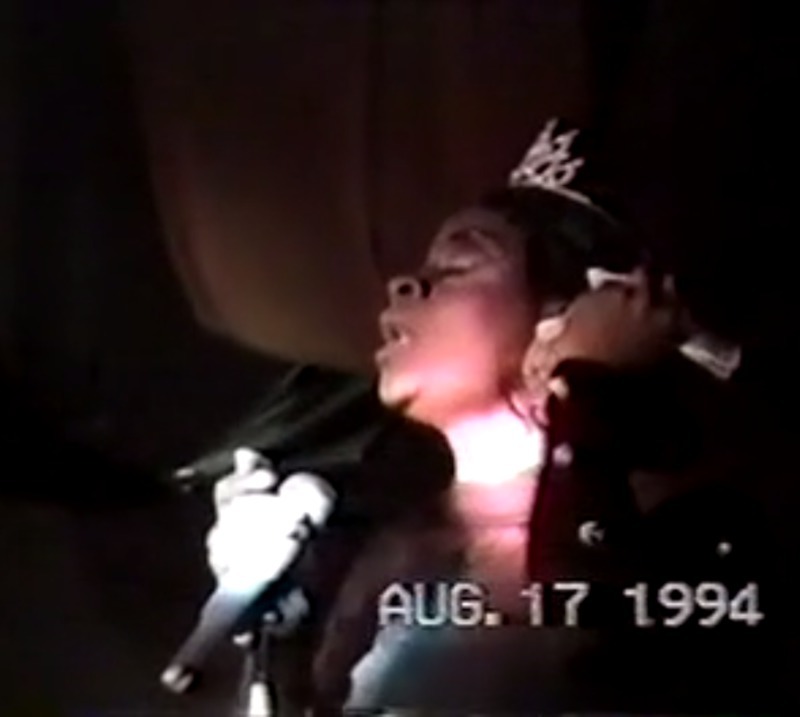 A consummate and entrnacing performer, Milan Tre'Zur was crowned Miss Teen Pittsburgh in 1994. In this show from August of the same year, Milan brought together some of her contemporaries for a night of divadom. The show starts off humorously with Milan kicking Vanna (Miss Pittsburgh 1994) off stage midway through a rendition of Whitney Houston's classic "I'm Every Woman." Milan, who would go on to influence both drag and ballroom culture in the Pittsburgh area, continues performing to this day. In between the pageants and benefits was a full calendar of birthday, holiday, and "just because" shows. 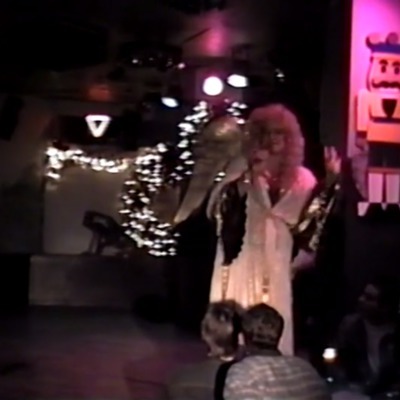 Patti O’Fernicher D'Opulence - 1995's Miss 15 Minutes of Fame for the Andy Warhol Museum - hosted a campy send-up of the holiday season in "The 12 Drags of Christmas." Meanwhile, Vanna's "The Masquerade" (1994) offers celebrity illusions of Tina Turner and Barbara Streisand. With a special introduction by Bambi, Vanna's 30th birthday show brings together Sterling, Kierra Darshell, Larritta Not So Young, Jezebel Bebbington D'Opulence, and Mimi Marks (Miss Continental 1992) for an energetic celebration. Finally, tempering the hard edge of the show entitled "Femme Fatale," (1995) Milan Tre'Zur burns the house down to D'Atra Hicks' "Everything I Feel." Together, these four VHS tapes demonstrate some of the weekly and seasonal offerings of the Pegasus stage in the early and mid-1990s. "I believe that this song is about the war against despair." Long-time Pittsburgh performer Bobbi DeMario takes center stage to perform Liza Minelli's version of "The Day After That" in this benefit show by the same name. Bobby was Miss Pittsburgh 1982 and had performed in many of the city's gay nightclubs throughout the 1970s, 1980s, and 1990s until her death in 1995. Bobbi's mother, Pat DeMario, actively supported him in the production of his shows as well. Through the late 1990s, the Bobbi DeMario Award was given to performers of exceptional dedication and talent. Bobbi's performance, which concludes the show, is duplicated at the beginning of this tape. The benefit show is followed by two television shows, a movie, and a full concert by a certain Barbara.